It’s the next level of fun, interactive learning! 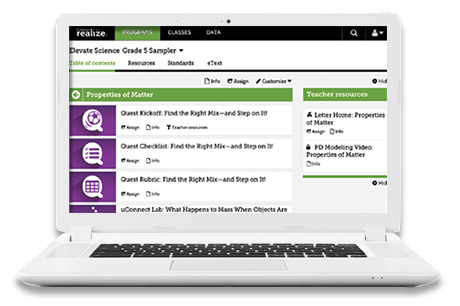 Elevate Science is available as a fully customizable digital curriculum on PearsonRealize.com. It provides easier navigation, bigger type, and child-friendly buttons for young learners. Student avatars make learning fun and age appropriate! 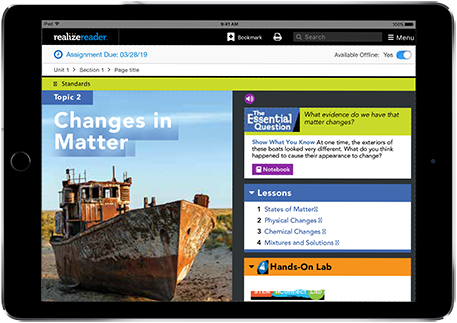 Students can even work offline with the new Realize™ Reader, then sync back automatically when connected to the Internet. Teachers can add thousands of vetted resources with Google® and OpenEd. This is digital curriculum done right. Elevate learning. Elevate teaching. 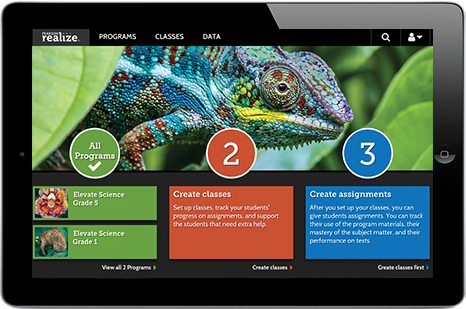 Get to know the Elevate Science digital curriculum for Grades K-5. 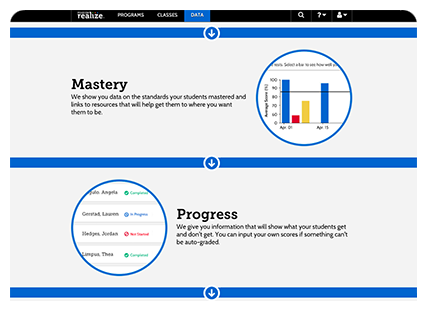 The Pearson Realize™ digital platform is made for easy navigation of Elevate Science. 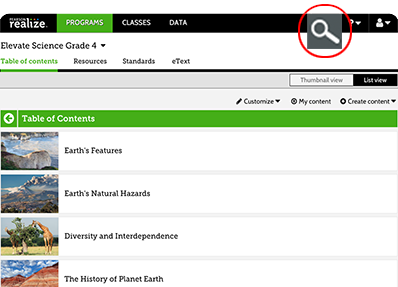 Browse and search thousands of resources by standard, keyword, or with our partner, OpenEd. Everything is right at point of use. Realize gives you smart, usable data. Children can work online or offline. That makes anywhere, anytime learning easy. Children can complete their homework, and submit assignments on Realize. Everything syncs up when children reconnect to the web.